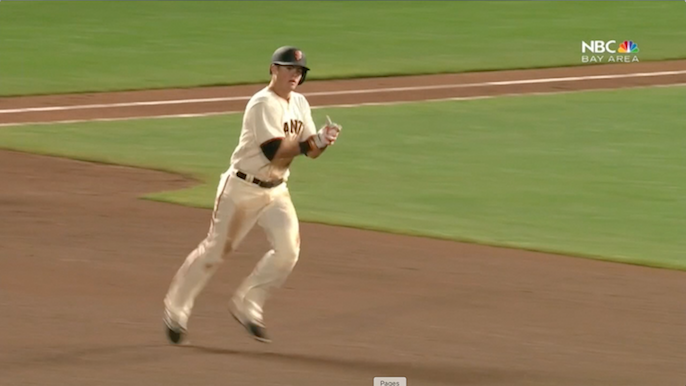 SAN FRANCISCO – It might sound odd when said out loud, but Christian Arroyo’s first home run in the majors came off of Sergio Romo’s arm in a Dodgers jersey. It’s been a wild couple of days for the baby-faced 21-year-old prospect. His first hit as a San Francisco Giant came Tuesday against one of the best pitchers of this era, Clayton Kershaw. Today, he lines his first major league home run over the left centerfield porch off of the arm of a recent Giants hero. Have yourself a week, kid.